Location: Agios Georgios church yard. 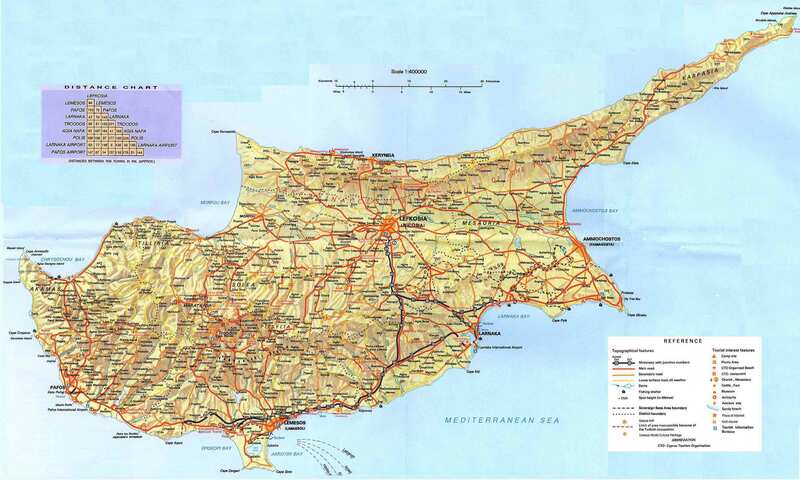 Pafos district. 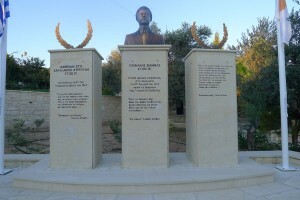 The memorial was commissioned by the Marathounta Community. 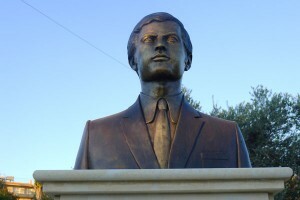 The bust is dedicated to Yiannis Siammas (Γιάννης Σιαμμάς) and the pedestal to the listed as missing Charalambos Fteroudi (Χαράλαμπος Φτερούδη). Under his name is noted a line of Giorgos Seferis (the 1963 literature Nobel winner Greek poet) “Cyprus Salamina” poem, written in 1953. 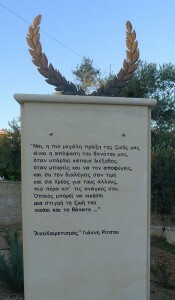 On the third stele is noted a verse of Yiannis Ritsos “Farewell”(Apoheretismos) poem. 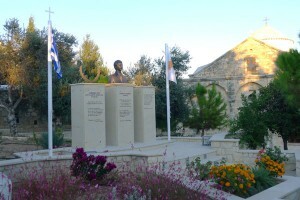 The unveiling took place on August 14th 2011. 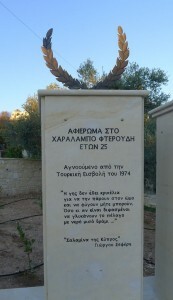 This entry was posted in Turkish Invasion and tagged Ierides Phylactis (Ιερείδης Φυλακτής), Marathounta (Μαραθούντα), Pafos district (Επαρχία Πάφου), Yiannis Siammas (Γιάννης Σιαμμάς) on by admin.